Built-in Tor: Derived from the original software project moniker—The Onion Router—Spectrecoin is fully integrated with Tor, protecting real IP addresses at all times through the directing of traffic through a worldwide (and free) overlay network of more than 7,000 relays. Anonymous coin creation: Deploying dual key stealth technology (a dual coin system), Spectre authorizes users to generate ‘anonymous coins’ known as SPECTRE for private and anonymous transactions as an alternative to their normal, everyday coin—XSPEC—for traditional transactions (most similar to Bitcoin). Ring signatures: Through the execution and implementation of ring signatures, Spectrecoin user transaction history is wiped altogether, allowing users to exchange and transfer public coins, XSPEC, and SPECTRE. At its core, Spectre’s dual coin system sanctions four fundamental types of privacy and anonymity transactions, XSPEC > XSPEC, XSPEC > SPECTRE, SPECTRE > SPECTRE, and SPECTRE > XSPEC, providing a plethora of transaction options for every type of user. And finally, if you’re looking for the TLDR (too long, didn’t read), Spectrecoin notes the best way to understand SPECTRE is to think of Bitcoin + Proof-of-Stake.v3 + anonymous transactions (similar to Monero) + Tor (for IP obfuscation). Unlike several other privacy coins which merely provide a Tor proxy—availing users to potential malicious exit nodes—Spectrecoin is fully integrated with Tor, a reliable and tested network providing one of the largest pools of IP addresses for confidentiality and untraceability. 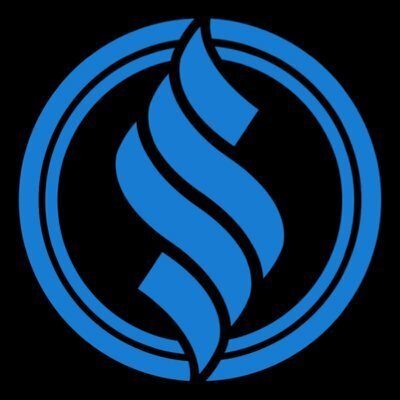 Coupled with staking, set at a 5% minimum per year, Spectrecoin offers a unique proposition (the only one in blockchain) for users looking to earn rewards while remaining anonymous by staking anonymous coins while generating more, fresh anonymous ones. Furthermore, for those looking for affirmation of Spectrecoin’s commitment to anonymity, not even the developers know each other’s real names—something that would have made walking away from a lacklustre ICO (which only raised 16 BTC at $600/700 per BTC) all too easy. 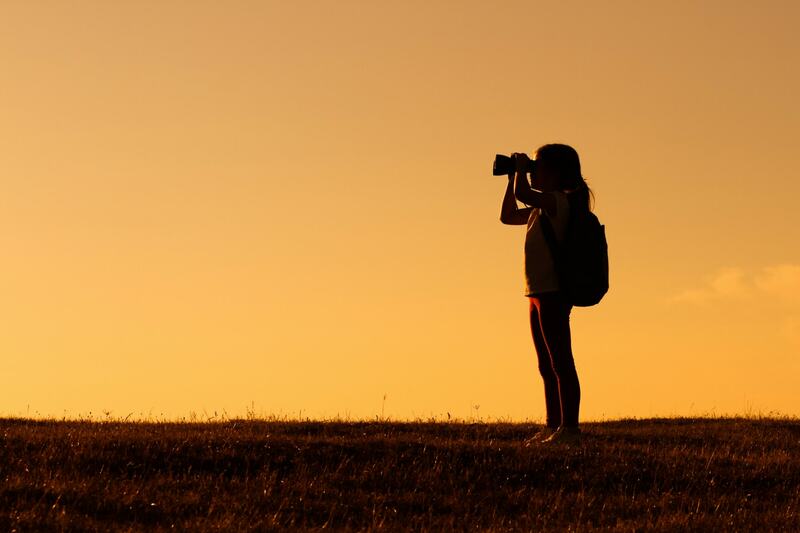 Spectre has emphasized organic growth without an excessive and aggressive marketing push, opting instead for a working product and timely improvements to meet the ever-changing privacy arms race. And, with their funding gap set around £19,000, users can take solace in knowing the project isn’t an outright cash grab asking for millions to further tenuous goodwill—like far too many projects in the cryptosphere. At time of writing, XSPEC is listed on CoinMarketcap at US$0.41 or 5,970 Satoshis. If you’re interested in learning further about the benefits of Spectrecoin and anonymous, privacy focused cryptocurrencies, check out their website, GitHub, Discord, Telegram, and Reddit. You can also check out our comprehensive article breaking down Spectrecoin and its strengths and potential areas for development. Finally, if you’re wondering how Spectrecoin stacks up to other privacy coins, such as Monero, PIVX, and Zcash, check out this comparison chart. In an age where open source software is an integral component for institutional, government, and nonprofit function and growth, there unfortunately remains a hindering factor—a cohesive, transparent, and styled request and transaction flow. Integrate with third-party platforms (and vice versa), who are looking to benefit from already completed works. For example, a requesting organization (referred to as the funder) will allot set funds—stored in a smart contract (i.e., escrow)—in order to tackle an open source issue, which is then picked up and solved by a developer (the solver). In order to eliminate malicious behavior, FundRequest requires solvers to “have skin in the game,” by staking proportional valued funds, all released and claimed once the issue is solved. 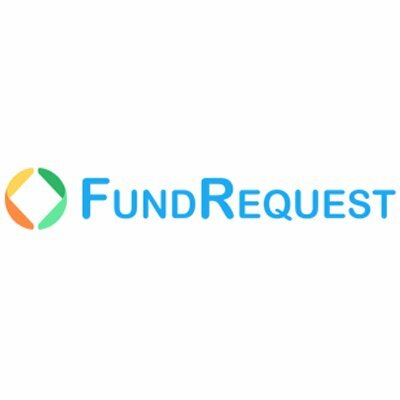 Simply put, FundRequest is the go-to facilitating and incentivization platform (similar to Airbnb and Uber) for funding, claiming, and rewarding open source commits and contributions, leading to an enriched and more collaborative open source ecosystem. With an estimated US$60 billion-plus in savings per year for organizations and institutions, thanks to open-source software and technology adoption, FundRequest is set to act as the glue which connects all dispersed and integral parts and actors. Traditional software, prohibitive costs, and predatory vendor practices are proving not to be conducive towards maximal technological growth and development, as most people and organizations just simply can’t afford or maintain it. Plus, with a clear push by both private and public sectors to leverage community-based software for development and distribution over the last decade, it’s expanding at rapid pace. In 2018, it’s approximated over 50% of European and North American companies utilize open source software for “crucial applications,” along with over 50% of American government organizations. This is no small industry. GitHub alone boasts over 24 million users (more than 8 times their user base five years ago), and it’s estimated that in the EU and United States combined, there’s over 160 million persons working as freelancers and independent contractors in what’s known as the “gig economy.” And that’s just the tip of the iceberg, with over 60% of online gig economy workers accounted for in Asia. As of August 1st, FND’s price sits at right around US$0.03 or 472 Satoshis. To read further about FundRequest and how they are boosting the open source community as a whole, head on over to their website to check out their roadmap and team. Furthermore, you can connect with them on Reddit, Twitter, and Telegram. TrustWallet – Ethereum wallet providing a fully audited and secure system for purchasing and storing ERC-20 tokens. Redefining convenience, simplicity, and compatibility, and short for the “Crypto One-Stop Solution’ exchange and platform, COSS is the native token and liquidity attraction tool of the Singapore-based exchange, boasting some of the most popular altcoins on the market while enabling users to receive weekly payouts in “dust” for all traded tokens. Merchant payment gateway: a tool assisting merchants in the integration of cryptocurrency into their online shops (taking less than one development hour total). Incentivized rewards systems: generating weekly payouts and passive income for holders of the COSS token. Digital wallet with integrated cash flow: allowing users to seamlessly transfer and store crypto funds between the exchange and wallet within a single application. ICO platform: enabling projects to fund and their ICO on the COSS exchange to increase popularity, volume, and trading value. Ultimately, COSS is looking to shake up the cryptocurrency exchange ecosystem through improved user experience, heightened product and feature functions, and a comprehensive foundation for employers, startups, companies, and traders to build towards a more accessible and mainstream cooperative blockchain community. With the rapid and gargantuan successes enjoyed by both Kucoin and Binance in 2018, crypto exchanges employing user-friendly token incentivization models are becoming a go-to for users looking to generate passive income while diversifying their crypto portfolio. However, unlike other cryptocurrency exchanges which have lowered their daily fee splits to nominal amounts, COSS has stayed true towards user rewards, keeping their daily percentage at 50%—paying out the respective dividends via a decentralized autonomous organization, ultimately guaranteeing an immutable percentage. Partnership with Blockchain Terminal (BCT): Easing the transition for institutional investors to trade and transact on crypto exchanges. NEO Listing: Trading pairs for NEO/BTC, NEO/ETH, NEO/USD, and NEO/COSS. Upgraded KYC features: Ensuring the platform and exchange are compliant with several core regulatory bodies. Preparation for COSS 2.0: The hiring of a team of over thirty developers in preparation of COSS 2.0, which is set to roll out dynamic withdrawal fees, sophisticated trading tools, dust conversion, public and private APIs, new wallet, institutional accounts, and more. And, if you’re looking to know what COSS’s endgame here is, their goal is to shift completely towards a decentralized autonomous organization (DAO) in the future, where governance and decision making is outlined in code and run by a peer-to-peer network. 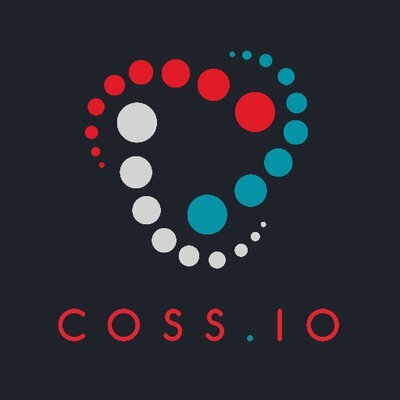 Currently, COSS’s price is listed at US$0.06 or 935 Satoshis on Coinmarketcap. If you’d like to read up further on the ‘One-Stop Solution’ for crypto and how to get trading, check out their website, whitepaper, Medium, Reddit, Telegram, and Twitter. Finally, if you’re curious about COSS’s fee sharing, check out the COSS fee share calculator, which provides an accurate picture of your monthly exchange fee earnings relative to the amount of COSS owned. One Reddit user recently posted, and provided a screenshot, showing the COSS annual dividends to be at nearly 10% per year. Named after the Sherpa language word meaning “to guide,” Lamden is staying true to its name by easing the creation and deployment of dapps and custom blockchains. 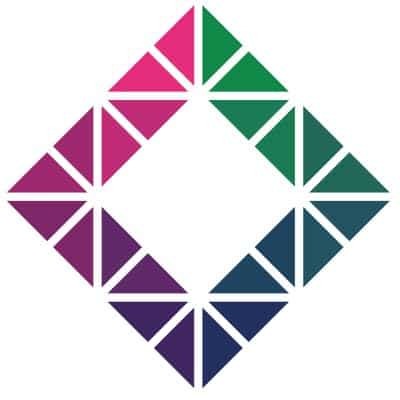 At its core, Lamden is providing a suite of developer tools mimicking “modern development processes in such tech stacks as Node.js or Python.” Simply put, Lamden is supplying the building blocks for experienced and amateur blockchain developers alike, enabling organizations and enterprise to skirt the energy and time costs of hiring and training expensive blockchain developers—ultimately speeding up efficiency and reducing overhead costs. Saffron: a general tool sanctioning the deployment of private chains on an internal network, partitioning blockchains into individual use cases (e.g., an enterprise having their own web app), and bringing them together to interact when needed. Lamden CEO Stuart Farmer noted that from blockchain generation, to installment, all the way to deployment, an entire deployment cycle can be completed within a frame of just ten minutes! Flora: a central repository for smart contract templates and packages, blockchain discovery tool, and private chain naming services, where developers are able to engage with one another, feed off one another’s innovations, and rapidly deploy and distribute smart contracts. Clove: a payment network trustlessly facilitating communication between blockchain apps while handling payment channel swap processes, avoiding blockchain bloat and acting similarly to a telephone network. Furthermore, Lamden supports the Ethereum network and Bitcoin-based blockchains at present, and boasts zero transaction fees and free chain-to-chain payments in exchange for chain allocation a specific amount of bandwidth for confirming payment channel transactions—meaning that its users are able to transact for free as a result of corporate entities bearing the network load and processing. Having released their ‘Cilantro’ testnet alpha in February 2018, Lamden has since hit the ground running, rolling out their first version of Clove soon after and tackling the necessary tune-ups and improvements in preparation of their mainnet launch in Q4 2018. Lamden’s mainnet is set to utilize a unique combination of Delegated Proof-of-Stake (DPoS) and the BFT Protocol, and will scale to process nearly 10,000 transactions per second. Moreover, in April 2018, Lamden announced the creation of LamDEX, their own decentralized cryptocurrency exchange and platform, where users will be able to stake their TAU—the native token of the Lamden platform—to act as a market maker, allowing for a cohesive back and forth across the TAU pair at prices faintly above and below market cost, ultimately generating rewards. With a rather daunting and tedious task ahead for anyone looking to utilize and incorporate existing smart contracts—which involves the manual searching for such on GitHub (a general repository website)—Lamden is truly adding value to blockchain and application development through their smart contract repository. Unlike GitHub, Lamden supports dependencies, versioning, and security, all essential elements for a quality package manager. Doing so adds not only convenience, but practicality to smart contract packages and implementation, and stands to save enterprise and organizations both exorbitant developer costs and time. If you’d like to learn more about Lamden’s developer tool suite, check out this complete overview from their blog. At the time of writing, Lamden’s price according to Coinmarketcap is US$0.04 or 699 Satoshis. To get a better picture of Lamden and their blockchain development tools ecosystem, check out this explanatory YouTube video from their channel. If you’d like to read up more on Lamden, check out their website, Twitter, Telegram, Reddit, and frequently updated blog. And, if you’re wondering how Lamden is different from several other projects in the blockchain ecosystem, check out their FAQ, which breaks down the differences between Lamden and Lisk, Hyperledger, IOTA, ARK, and Interledger. Risk is inevitable when investing in crypto and blockchain projects. However, as long as you are cognizantly defining parameters for absorbing such risk, then diversifying your portfolio with smaller capped projects can be an effective way to realize value. Whether you’re looking for a user-friendly exchange to purchase crypto directly with fiat from (and earn dividends for loyalty) or wanting to execute anonymous and secure transactions with a P2P coin, the aforementioned projects are all bringing value to the crypto sphere through their overhaul of ineffective traditional mechanisms and institutions. Make sure to stay calm and collected during this bear market, associate yourself with quality projects that you think are bringing actual value to severely flawed industries, and remember, having a little gamble in you never hurts (as long as it’s properly accounted for). We’re interested to hear your favorite project of the above 4, if you think we missed any projects, and any other upcoming projects or coins you think are worth keeping an eye on. Let us know in the comments! Cheeck also deeponion: (deeponion.org). Private (Pow/PoS) coin with some interesting features (TOR by default, Stealth Addresses, DeepSend protocol (Anonymous transactions) being to be implemented and DeepVault (File hash storage system)).